A Toyota MR2 HID kit comes with all the necessary parts including powerful xenon bulbs to replace your factory-installed headlights with more robust ones. Xenon bulbs are constructed to produce 3 times more light than ordinary stock headlights and are therefore a great modification option. They are available in different colors for improving the appearance of a car. These kits are designed to be waterproof as well as shock proof and are therefore perfect to be used on all kinds of terrains and in all weather conditions. 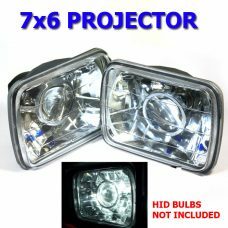 Turn your vehicle into an elegant machine by installing these wonderful HID conversion kits.